Applying for a new program can be daunting. You do your research, pick your favourite programs, and then apply and bite your nails while you wait for the acceptance letters. And it doesn’t end there – once you know what school you will be attending, you then get to wonder what your classmates will be like, if you’ll enjoy the coursework, even if you’ll like the new city. I remember that feeling distinctly. After I graduated in 2011, I took two years to work and save up money for grad school. I had some serious trepidation about going back to the school life after spending so much time away from it. I was successful at my job, but there’s a knack to studying and doing well in the academic world that’s so different from the working world. Now that I’m in my second (and final!) year of the program, it’s hard to believe I had those doubts only a year and a half ago. As I reflected on my two years in the CRMBA program, I thought it would be fun to hear from someone just about to start. I reached out to one of the newly accepted students for the class of 2017 – her name is Jaime Cahill, and she completed her undergraduate degree at St. Francis Xavier University (better known as St. FX) in 2014. My first question to Jaime, as it is to anyone entering this program, is what her degree was in. 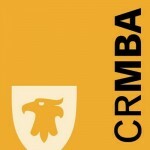 The CRMBA program accepts students from a broad range of educational backgrounds because of the way it is structured; it allows students to combine the skills they’ve learned in past disciplines with the talents found in a traditional MBA. Hers is a Bachelor of Science in Chemistry. Once deciding on the program you wish to apply to, it’s on to the next daunting hurdle that shows up for anyone applying to an MBA program: writing the GMAT. This was my next question for Jaime. Spoiler alert: she did very well. So now she’s accepted, getting ready to start this new part of her life and academic career – what is she most nervous about? Despite this, Jaime notes that the rigorous application process gives her assurance that she would not have been accepted if she was not a good fit (very true). I can also personally assure anyone that not having a business background will not hold you back – I came from the fine arts world, which is about as far away from the business academic spectrum as you can imagine. If anything, I view my artistic background as an asset. But what is Jaime most excited about? Because at the end of the day, there are lots of things you can stress out about for school, but ultimately it’s all the other things that really count! Good luck to Jaime and the rest of the class of 2017!